Artificial Intelligence (AI) is becoming more prevalent as a component of marketing technology solutions. A significant percentage of B2B marketers are in the early stage of learning about AI marketing technology and aren't confident in their current knowledge. 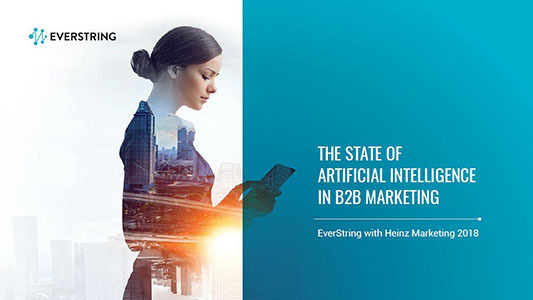 Heinz Marketing and EverString partnered together to conduct the first ever survey to understand how B2B marketers view AI as a strategic tool to help meet their goals and objectives. We have gathered the responses from over 300 B2B marketing and sales professionals. Download your free copy by filling out this short form!